(SPOT.ph) Here in the Philippines, summer is synonymous with sandal season—primarily because it’s too hot to wear anything else. If you’re going to go shopping for new steppers for the next months, we recommend one of these super comfy pairs from FitFlop, which provides you with ample support without sacrificing style. Get a hold of one of these babies now, and don’t forget your pedicure! 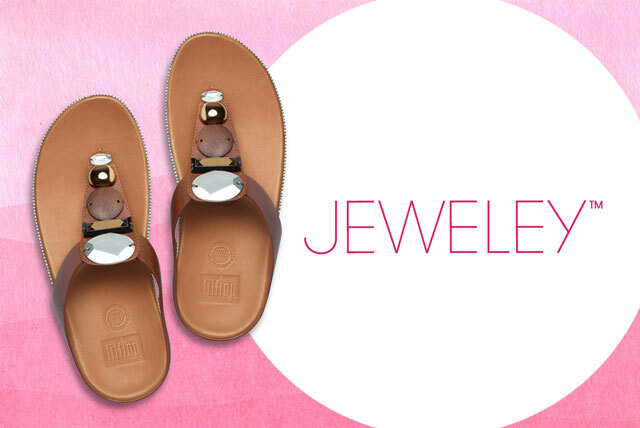 These leather sandals bedazzled with round glittery gems don’t compromise comfort for glamour. Pair them with your favorite jeans and summer frocks for a dressy touch! 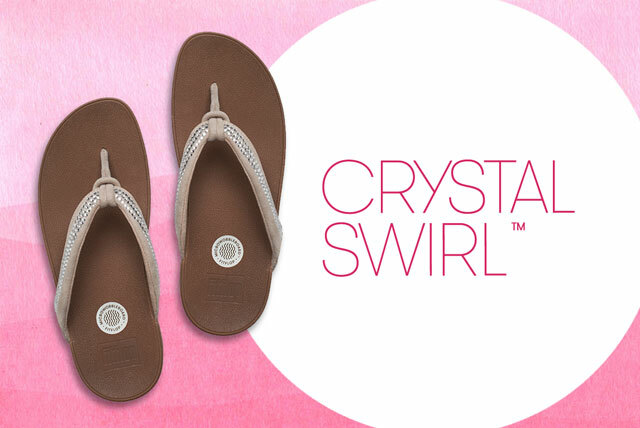 Versatile, comfortable, and utterly chic--that’s the Jeweley leather flip flop for you. The jewels running down the strap are guaranteed to make your every outfit more fabulous. These leather-and-raffia babies are adorned with a sprinkling of pretty baubles that can up the ante of any #OOTD. Slip them on and slide out with style. These rhinestone-encrusted steppers are as comfortable as they are pretty, with suede straps complimented by ultra-comfy, ergonomically-designed midsoles. What more could a girl ask for? The upcoming Stack Slide, with its trendy two-strapped design that comes in a range of pretty neutrals, will easily make it to your shortlist of favorite everyday sandals. Wear it with everything from cut-offs to maxi dresses for effortless summer chic! The Stack Slide will hit stores on April 21. These stylish vegan leather flipflops, with glittering stones and ultra-flattering toe-posts, are hard to resist. With the built-in arch contour and specially designed Microwobbleboard midsoles, your feet will be thanking you all day long. It's pretty, light, versatile, and comfy. It’s not every day that you’ll find a pair that can effortlessly take you from a hectic afternoon at the office to a day at the park. A true modern-day classic, the adjustable straps in a variety of versatile colors ensure a snug fit, while the ergonomic midsoles ensure that you’ll be dancing in them all day long. 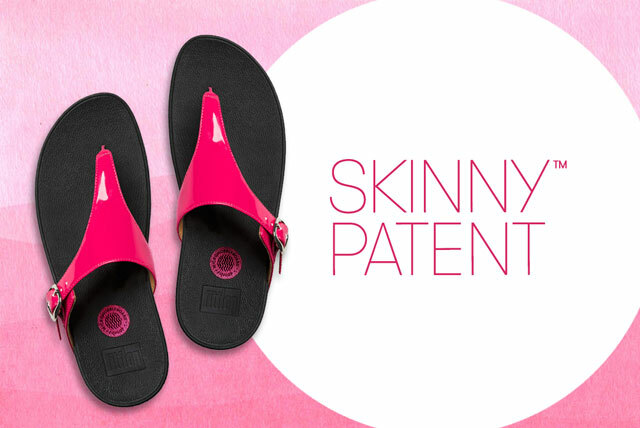 These cushy, all-rubber FitFlops are poised to become your feet’s best friend this summer. Take this waterproof pair to the pool or to the beach, and watch all the girls around you be super jealous of your Superjellies. Uber-soft soles and tres chic criss-cross straps make the KYS slide a true must-have for these modern times. They’ll be your go-to pair all summer long. You can find these items at Fitflop branches in Alabang Town Center, Ayala Center Cebu, Veranza, Trinoma, Robinsons Ermita, Bonifacio High Street, Centrio, Greenbelt 3, Shangrila Plaza, SM Annex, SM Baguio, SM Cebu, SM Mall of Asia, SM Megamall, and SM Southmall. 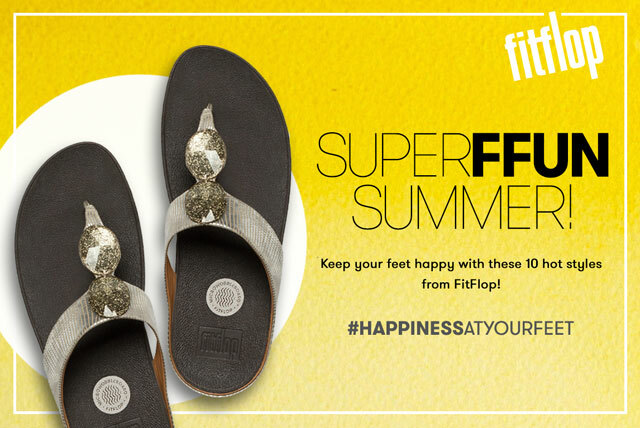 Fitflop is also available at Res|Toe|Run, and select stores of The Travel Club, Shoe Salon, Bratpack, and Grind.